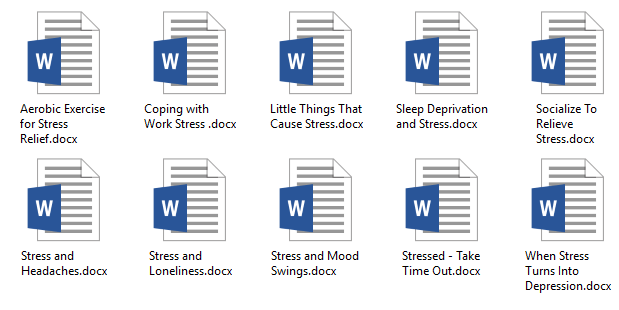 You can be seen as an authority with all the professional content on offer! If you don't need a website, that's ok! We have two options for this package! You can have it all, or you can have just the content! So make sure you keep reading and see the value in this amazing offer! View The Completed Website That Could Be Yours! The website link opens in a new window. We have an amazing special offer for you! There are two purchase options! One option includes the website offer, the other is without the website... so if you already have one, that's ok! You can still grab all the content in this offer at a very low price! Watch Me Install In Just A Few Minutes! 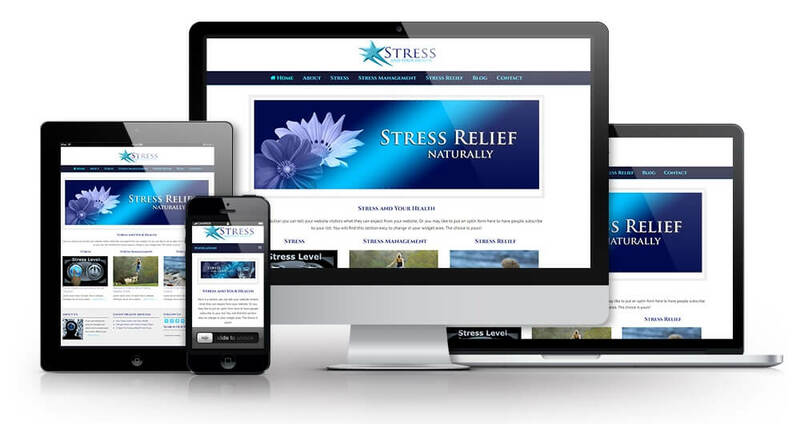 The website is a professional, custom designed WordPress theme, for your personal use only. Complete DFY Website - Just upload the file and in a few minutes your site is live! Step-by-step installation instructions are included. Plus a video showing exactly how to install in just a few minutes! Affiliate program banners on 'healthy nutrition' have also been added to the website. Just change the Clickbank 'Pretty Link' and it's done. Instructions how are included. Slider graphics are ready to go and the PSD files are included if you want to change the wording. The logo has been created by us and you can keep it as your own. Or it can be removed and your own logo or text can be used if preferred. All photographs on the website are 100% royalty free and come with a commercial use license. 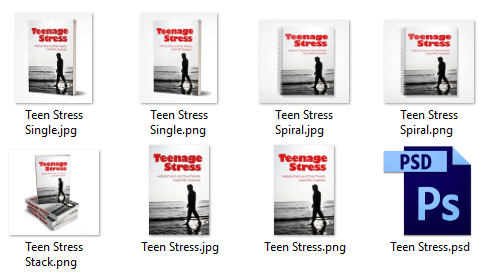 ‘Teenage Stress’ – Words 4,490, 22 pages. Fully illustrated with 100% royalty free (commercial use) images! 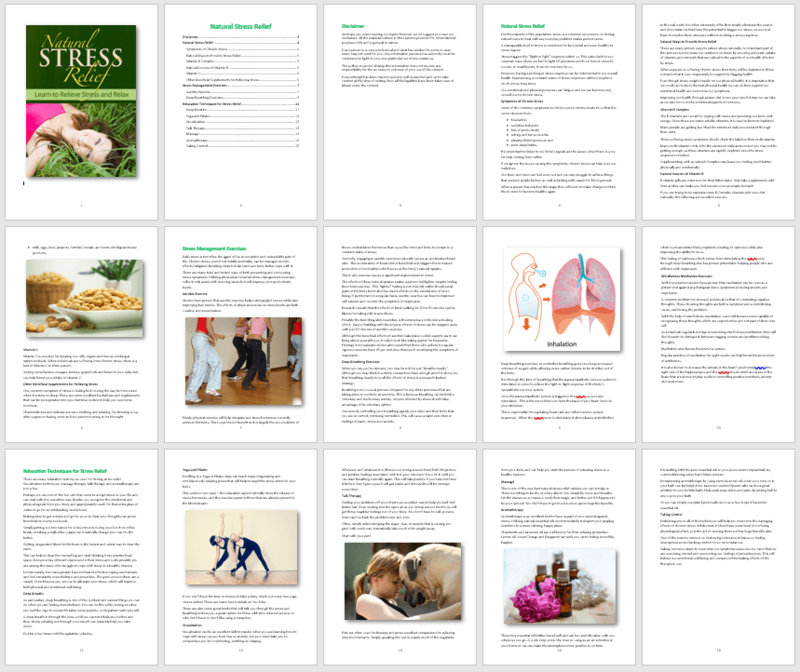 Table of contents and easy to click hyperlinked pages. 4 eCover Styles in JPG and PNG Formats, plus the PSD file to edit and rebrand as your own. 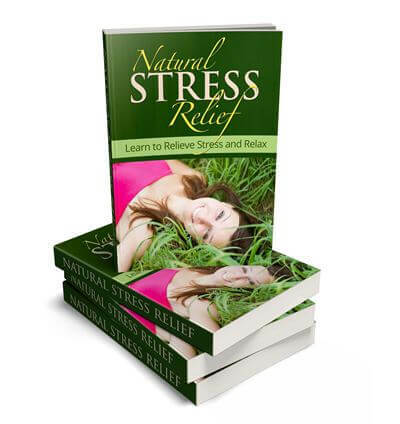 ‘Natural Stress Relief’ – Words – 2,673, 15 pages. Fully illustrated with 100% royalty free (commercial use) images! Table of contents and easy to click hyperlinked pages. This is a full-size infographic on ‘Stress and Your Health’. It measures 800px x 4035px. 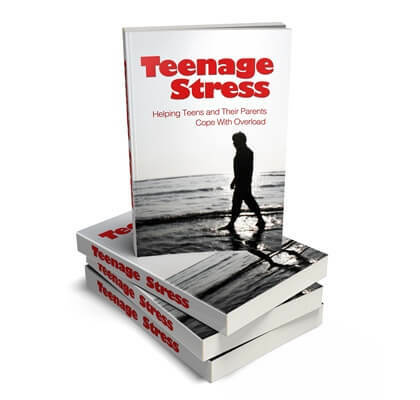 Plus, the infographic has been made into 3 sections covering how stress affects your health and natural weapons against stress. These social posters are perfect for sharing on Facebook, Twitter, Pinterest or Instagram…or any other social media platform of your choice! They’ll get people sharing and that’s what you want and need! 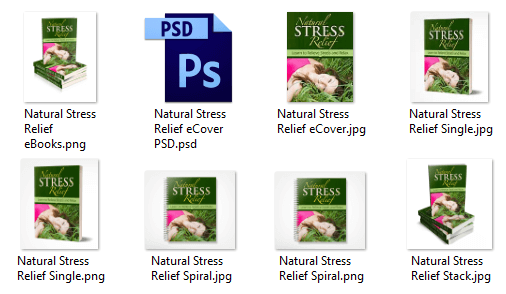 Plus you get the PSD files and JPG and PNG formats. Another full-size infographic on stress relief! Another ‘Stress Relief’ infographic measuring 800px x 5398px! This infographic is designed to create 5 more mini infographics, so you get 6 in total! Authority websites have amazing infographics, now you can too! PLR or Private Label Rights is where you and others can buy and use the content and claim it as your own. You can change it and rewrite it to make it your own individual or original style, but you don’t have to if you don’t want to. That is the beauty of PLR. You can change it or leave it as is…you have purchased the license to use it how you want. This is a question that gets pushed around all over the web. I’ll give this example. A worldwide catastrophe occurs! Every newspaper, television and media source covers the event…same photos, same news…same quotes. Is it duplicate content? No. As for SEO and duplicate content…I could go on for hours explaining that one! We do! Plus, there are a few other providers that do too. 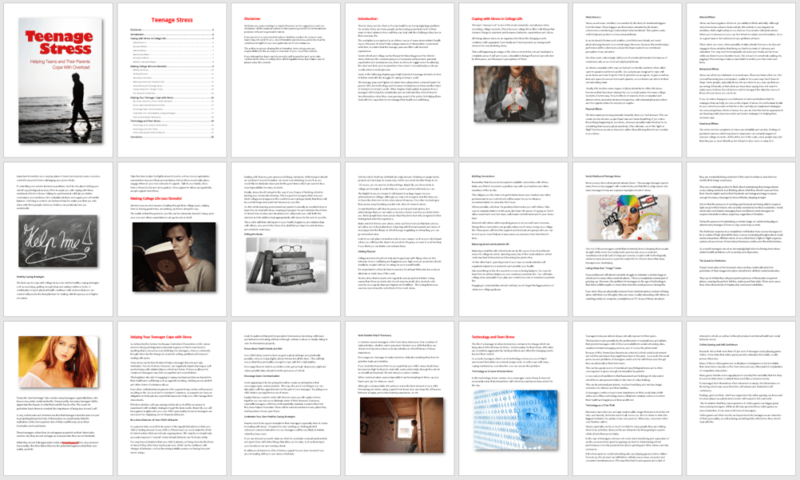 Yes, there is some content out there that is rubbish, however, there is also a lot of excellent PLR available from reputable sellers. We are very proud to be associated with a select group of like-minded PLR providers who, like us, focus on delivering quality content. [YES] You can edit the content. [YES] You can put your name on it. [YES] You can use the report to give to your optin list. [YES] You can create your own ebooks. [YES] You can rebrand and sell the ebook as your own. [YES] You can use the content on your website. [YES] You can sell your (Personal Use) website. [NO] You CANNOT sell as PLR - Private Label Rights. [NO] You CANNOT sell Resale Rights. [NO] You CANNOT sell Master Resale Rights. [NO] You CANNOT sell through auction websites or on Fiverr. [NO] You CANNOT claim copyright. [NO] You CANNOT give complete package as bonus! [NO] You CANNOT give your customers any PSD files.